The French slogan says it all: Ce n’est pas une couzse, c’est un monument” which translates to – “It’s not a race, it’s a monument”. The Prix de l’Arc de Triomphe is historically run on the first Sunday in every October and has had some of the best staying horses in the world salute. It has made headlines in recent years with Treve winning the 2013-14 Arcs and becoming the first horse since Alleged in 1978-79 to win the great race twice. 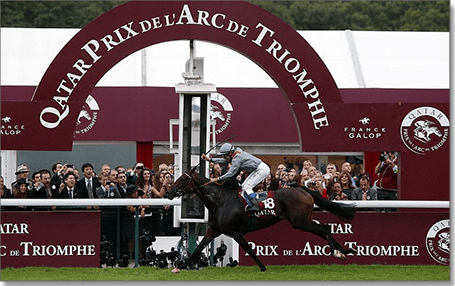 Prix de l’Arc de Triomphe’s origins – where did it all begin? The first ever Prix de l’Arc de Triomphe was run on October 3, 1920 and was named after a monument which had been at the scene of the victory parade of the Allies in the wake of World War I in 1919. The French governing body up until this point had restricted its thoroughbred racing to only horses of French breeding, but decided this race would be open to the world’s best.